2. 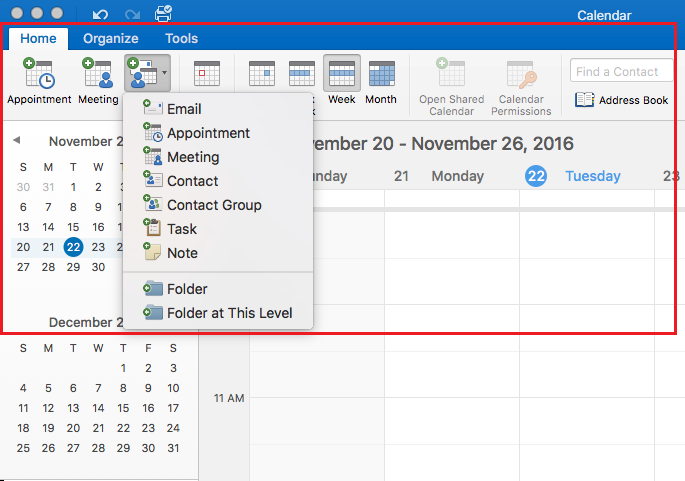 Switch to the Calendar button in the bottom left-hand corner of the screen. 3. Your calendars will appear. On the Home tab, you create new Appointments, Meetings, or New Items. 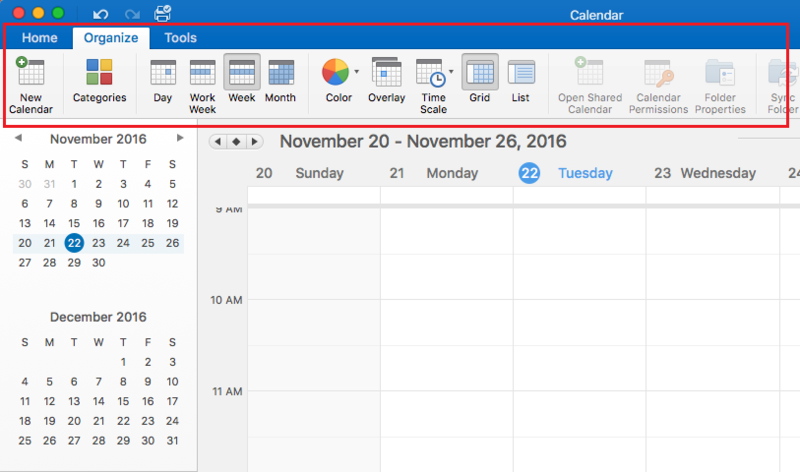 You can also change your View, Open Shared Calendars, and update Calendar Permissions. 4. 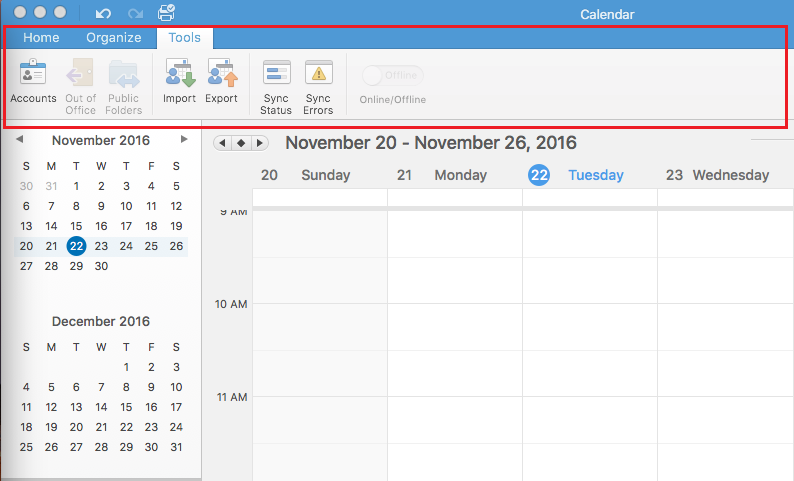 On the Organize tab, you can create a New Calendar, add Categories, and update the Color, Overlay, Time Scale, Overlay, or List. 5. 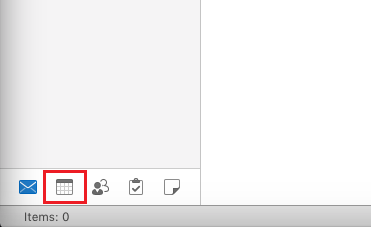 On the Tools tab, allows you can edit Accounts, Import / Export, and Sync.